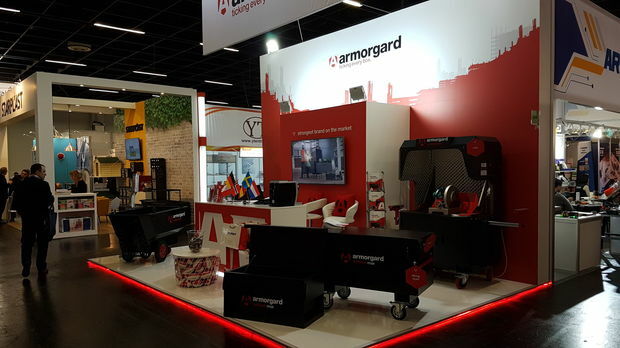 At Cologne last week, the International Hardware Fair was in full swing – and Armorgard was in the thick of it, with some key products on display – the renowned Rubble Truck, the OxBox, the new CuttingStation SS7, and some TuffBank Max’s, the international cousins to the TuffBanks. 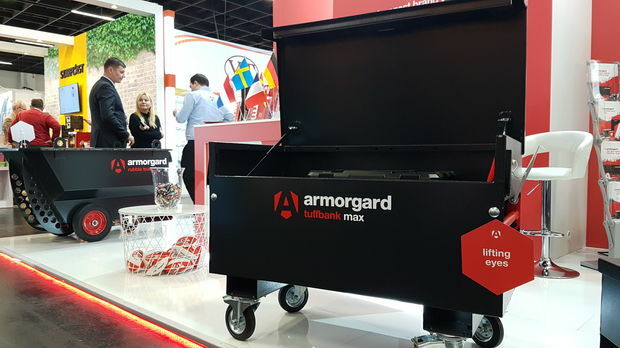 We went there with the intention of raising awareness of Armorgard throughout other countries: we were keen to see if the key decision makers from around the world would see our company as a good fit. 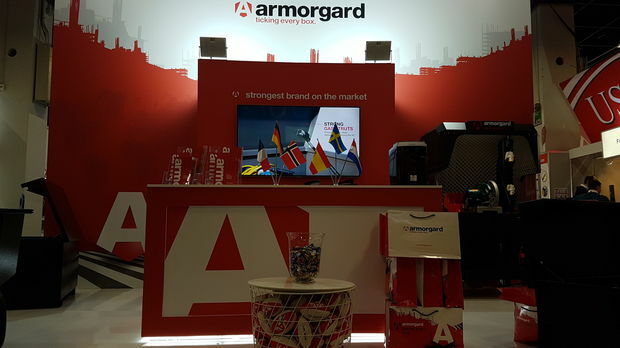 With a lot of positive feedback from buyers throughout the world, we felt that the show was a huge success! There were 2,770 exhibitors from 58 countries and over 47,000 trade visitors from 143 countries. We had time to look around a few other stands in the extensive halls of the show, in between the busy program of events, including awards, conferences, trainee days, seminars and more. 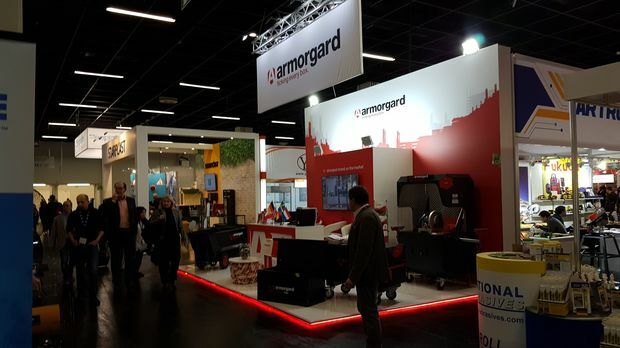 Highlights included the two-day Summit with lectures and exhibitors in the scope of the EISEN forum, the Start-up Village as well as the "3D printing - Additive Production" special event.